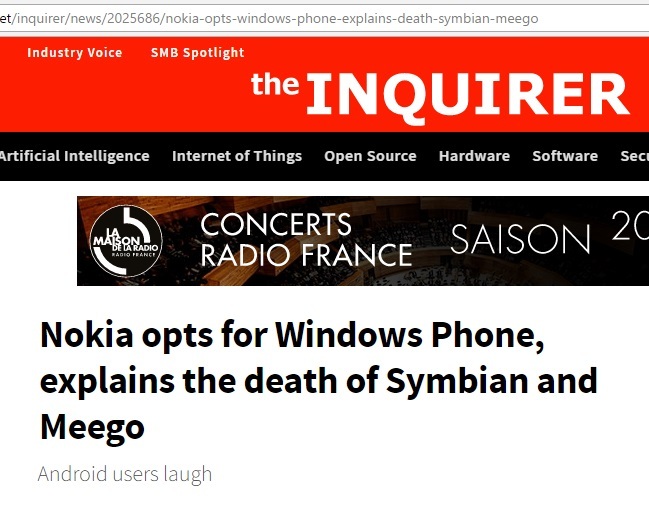 Not to be confused with the National Enquirer, the INQ, as it is known, is an I.T. daily news site that has a “opinion-led” story style. I was News Editor for a year and via this link one of my many I.T. industry stories can be seen.